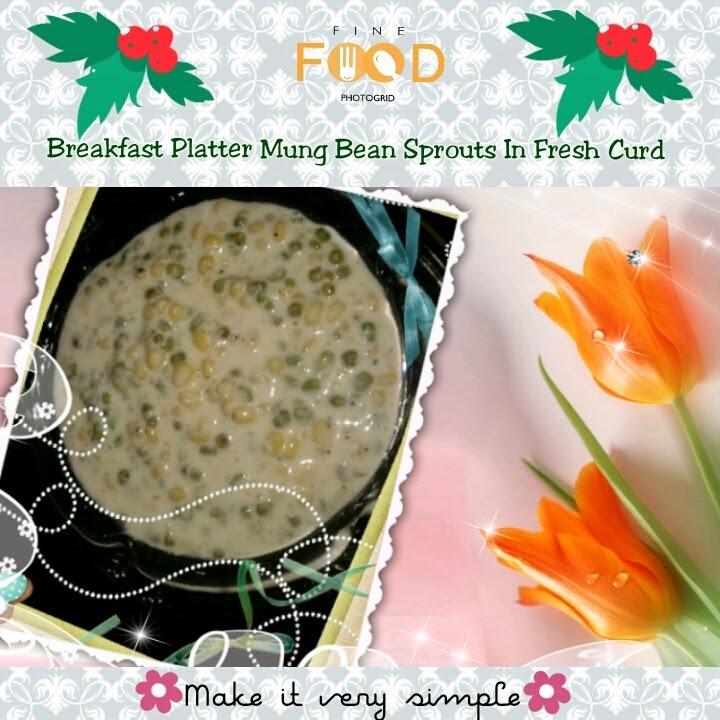 Mung Bean sprouts are primary source of protein and a very healthy and nutritious dish. 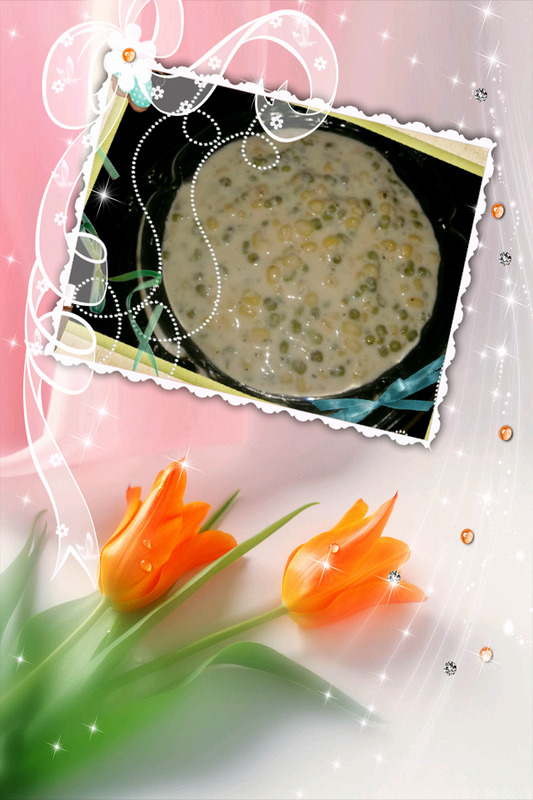 This is my second recipe of Mung Bean. 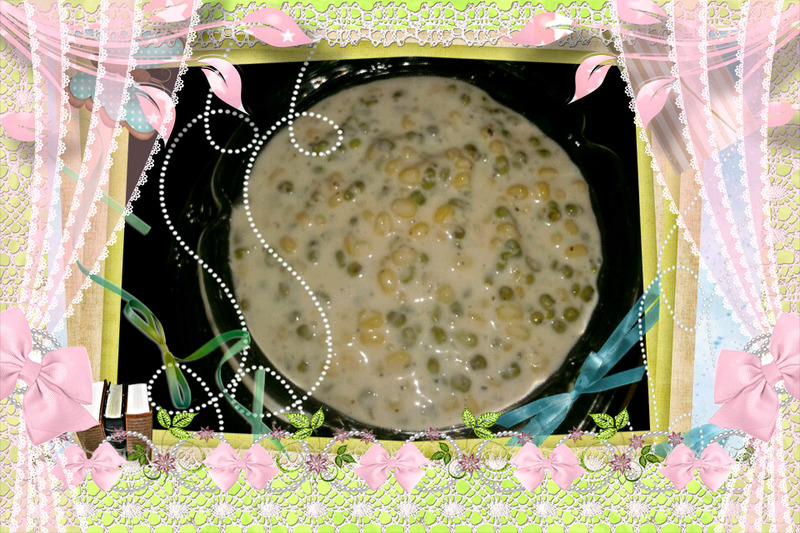 First recipe was Whole Green Moong Daal. 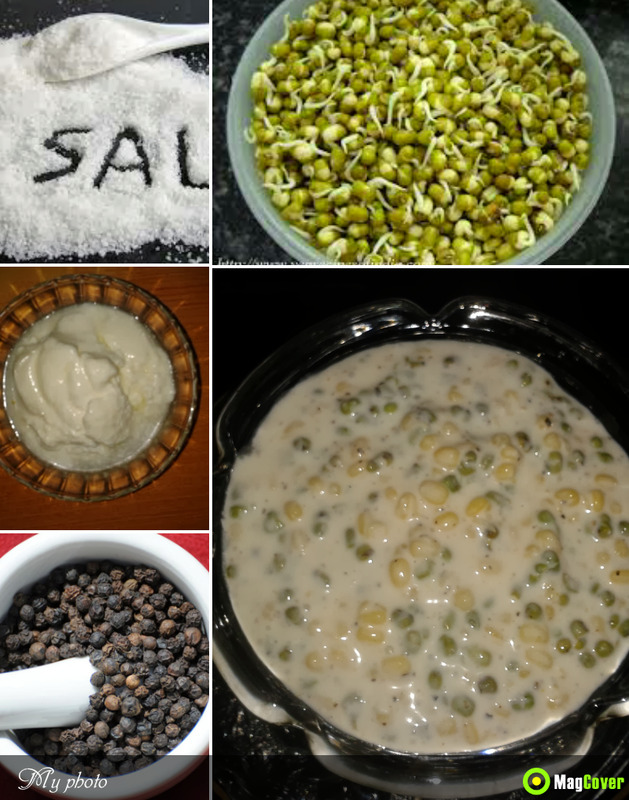 The creamy and soft texture of yogurt compliments the crunchy subtle taste of the sprouted mung bean. 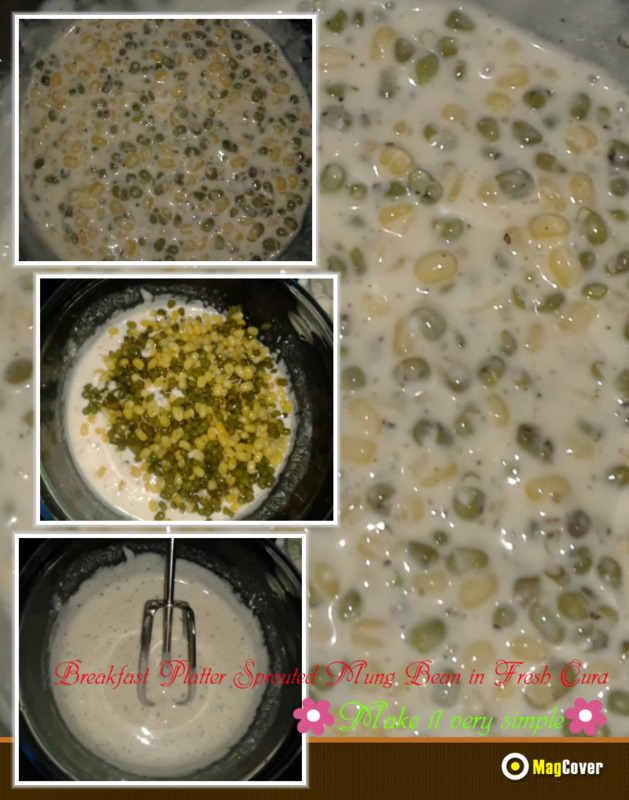 Green Mung beans not only help you to lose weight, but it also improves metabolism and very good for your cardiovascular health, in fact this diet is highly recommended by dietitians. ✒Black Pepper Corns 15-20 no. (whole) or as per your taste. I prefer blanched sprouted mung bean. 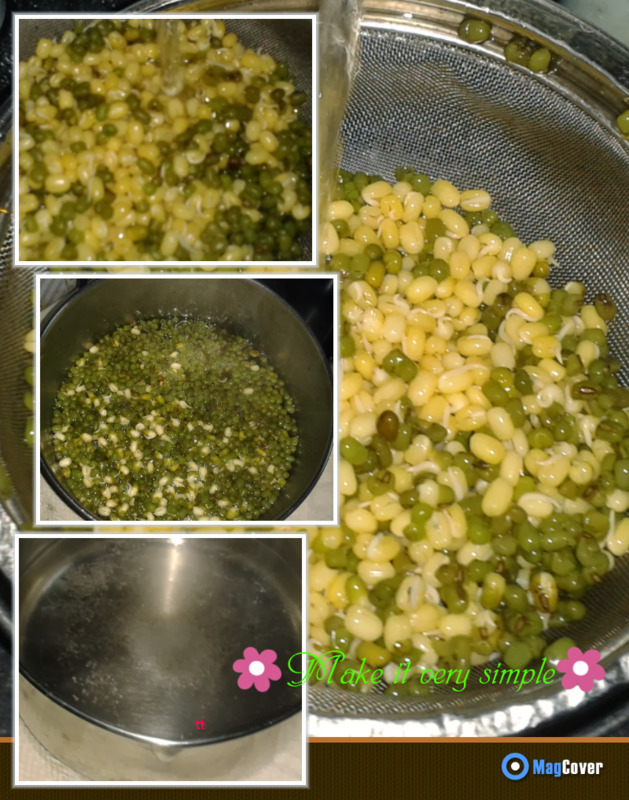 If you prefer sprouted mung bean as it is, you can have this without blanching, so skip this process. 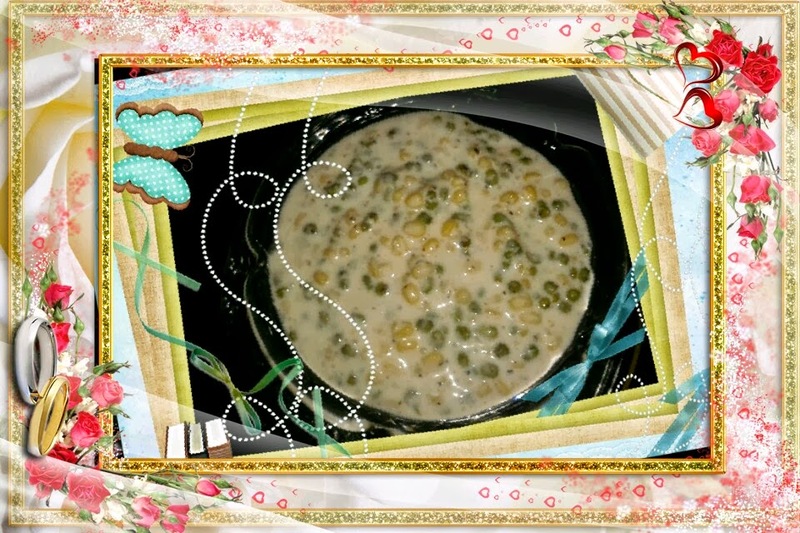 Blanching is a cooking process wherein the sprouted mung bean is plunged into boiling water, removed after a brief - (2 minutes), timed interval, and finally placed under cold running water to halt the cooking process, and maintain natural color. 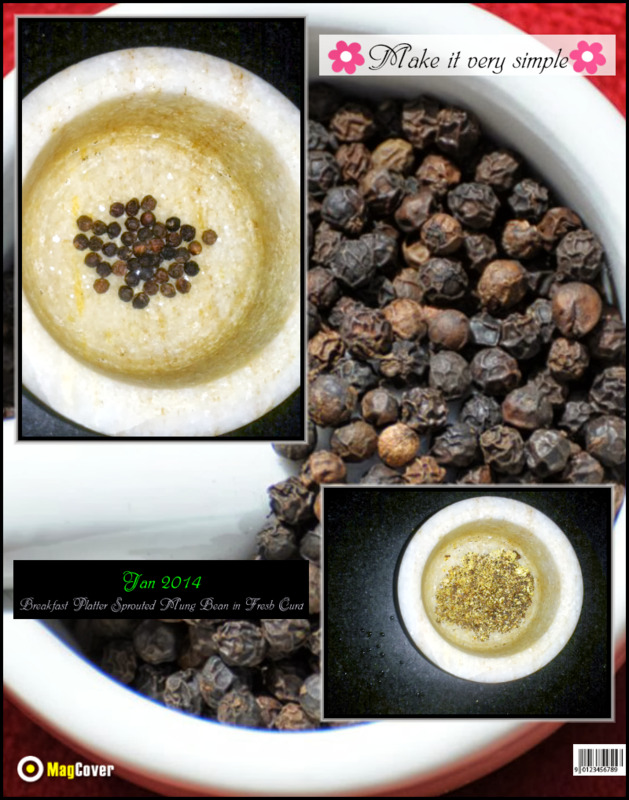 I prefer fresh coarsely grind pepper corns then using the powdered one which is already made. Freshly grind pepper corns enhances the pepper's hot biting flavour. Take mortar and pestle, and coarsely grind pepper corns in that. 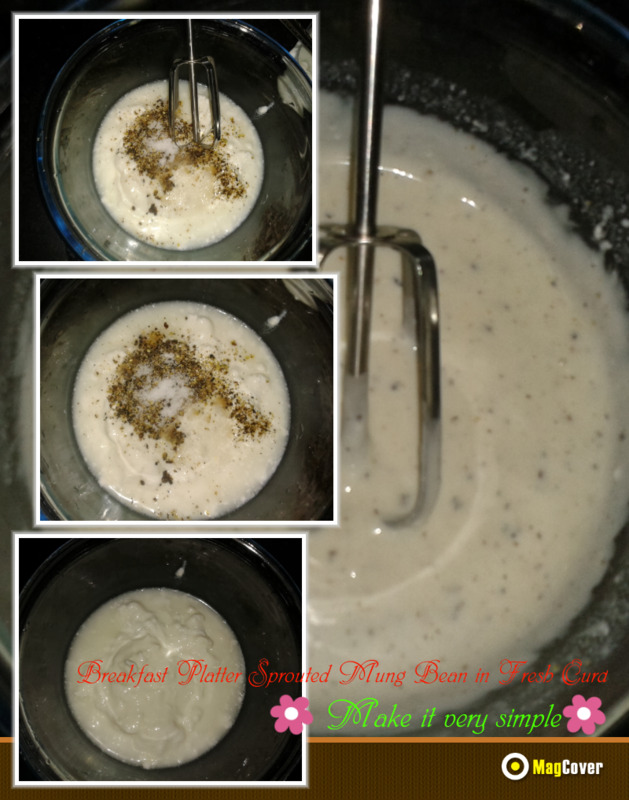 Take a bowl, in that add curd, salt and black pepper corn, whisk it well. 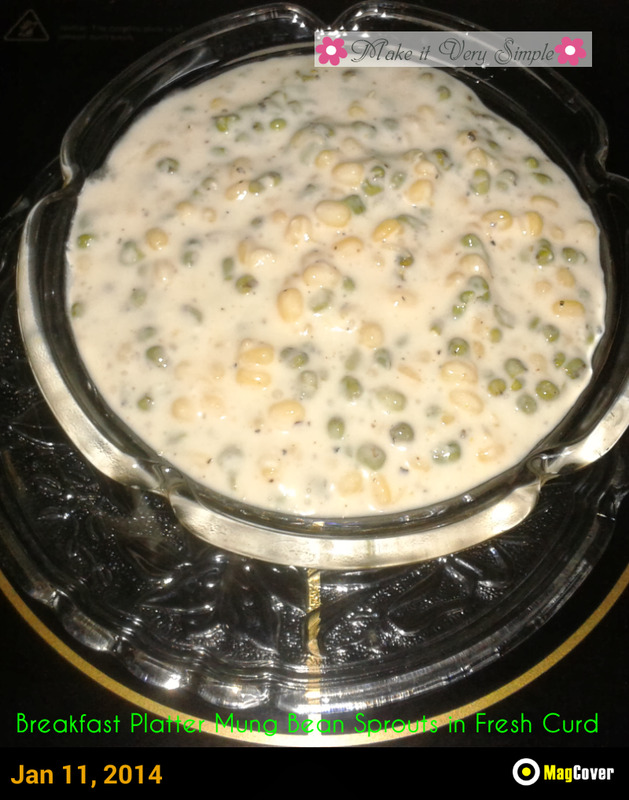 Add blanched moong bean. 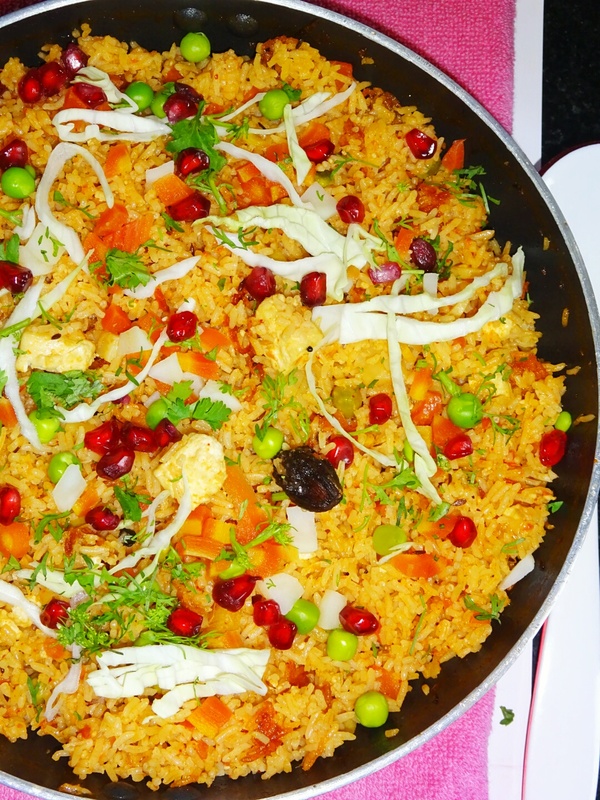 Remove in serving platter, your healthy breakfast is ready to serve.